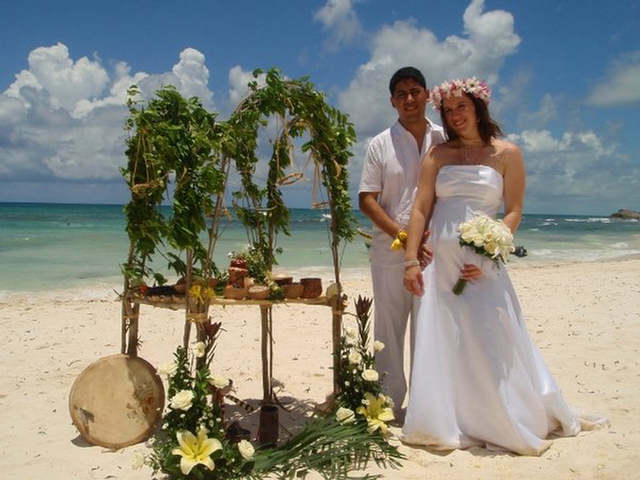 Mayan Weddings in Cancun and Riviera Maya. 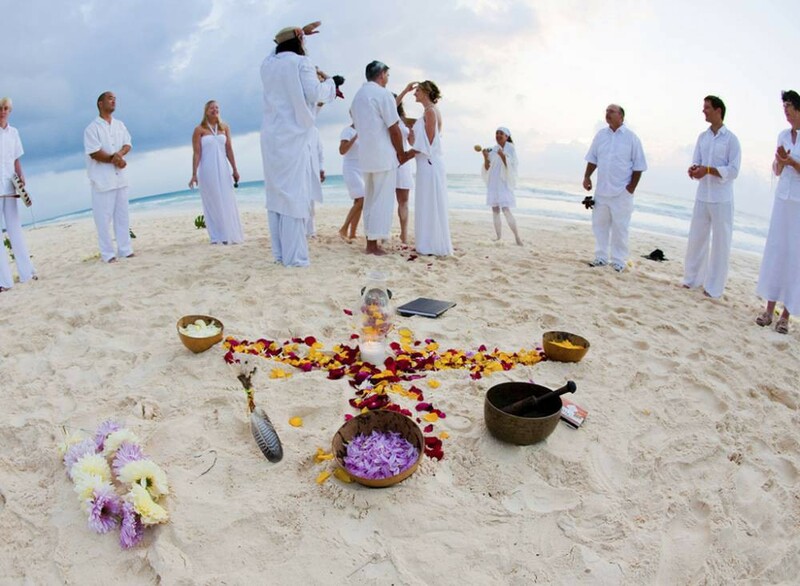 Mayan Weddings rescue a prehispanic tradition laden with mysticism and a deep spiritual sense. They usually take place in a magical environment, for example, a Cenote, surrounded by thick vegetation, an archaeological zone, hidden caves in the jungle or a paradisiac Caribbean beach. The ceremony does not have legal validity, but can be a prelude before the official wedding. 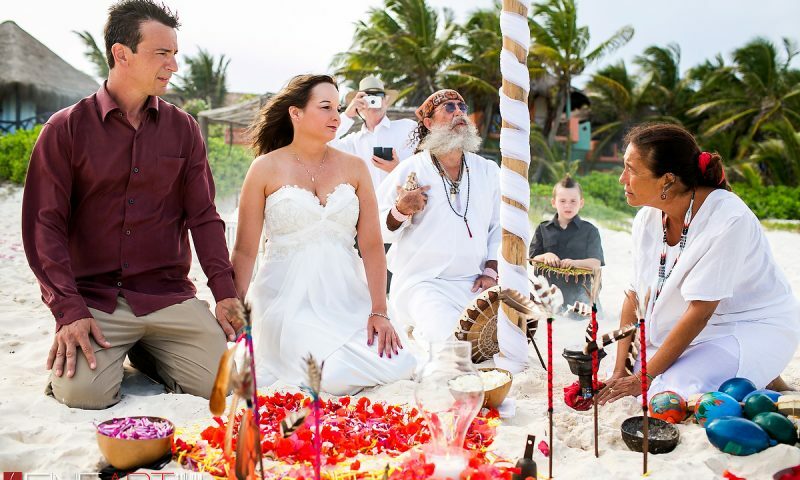 A shaman will present the lovers to mother earth and the spiritual strength of the ancestors.Mayan Weddings can range from a simple ritual ceremony to a more elaborate nuptial service. These ceremonies are performing in the Mayan language. They are considered serious spiritual ceremonies, and are performed by authentic Shamans who develop an authentic ritual to consecrate the union of the couple. 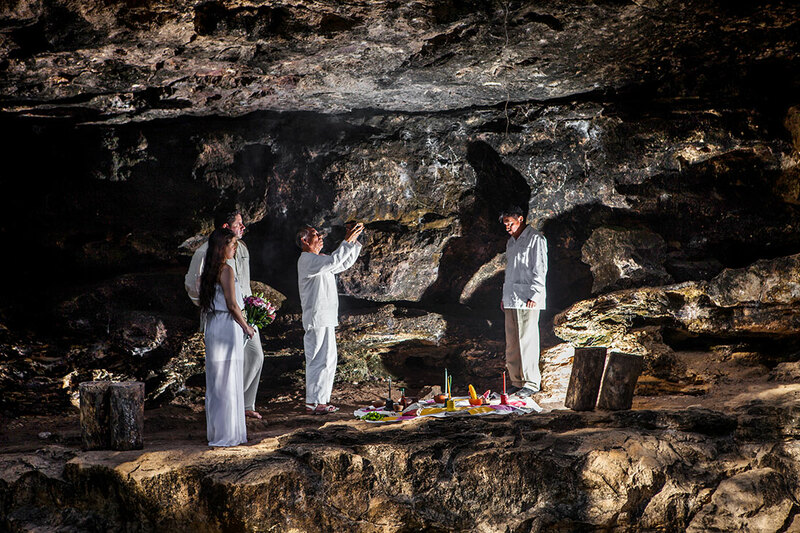 These Mayan ceremonies can be also performed in English. Based on the Mayan connection with the Universe and its gods, which are described in the sacred book of Popol Vuh, the couple is taken to the four cardinal points (north, south, east and west) to unite them to the female mother land and masculine cosmic energy, symbolized by a central sacred candle. An altar is created to represent this four cardinal points. 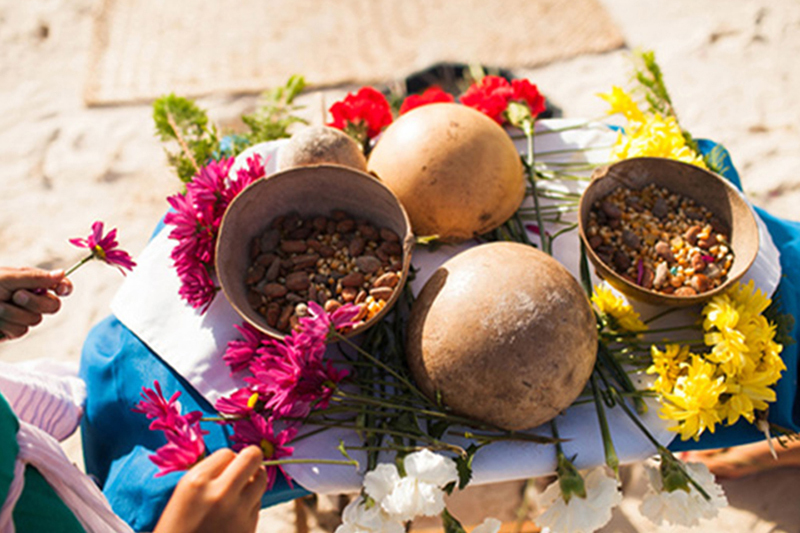 Flowers mark these four points and at the altar there are traditional offerings to the gods like corn, beans, rice, and fruit to represent gifts of prosperity and fertility. Before the ceremony, the area is smoked and cleaned with sacred copal smoke at the four cardinal points by the Shaman, and the sound of ritual snails. 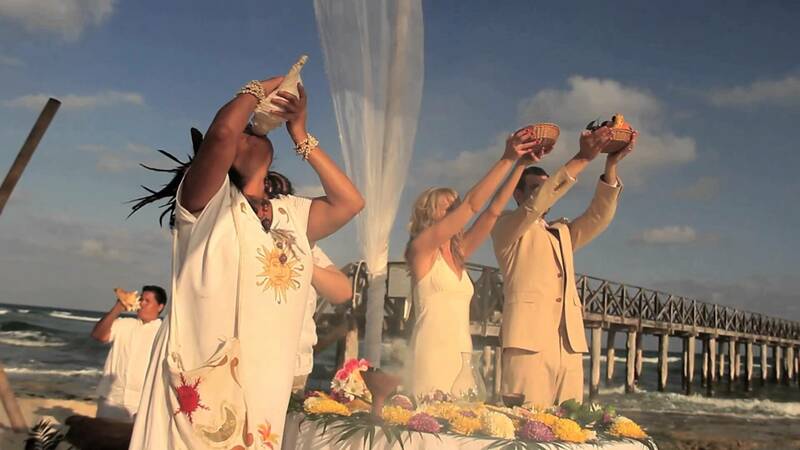 Family and friends gather in a circle at the altar and celebrate the union of the Promised by giving them flowers, music, food and drinks. Mayan music with pre-Hispanic instruments and snails is played before and during the ceremony.